WhatsApp has launched a new feature globally that will indicate to its users on messages that have been forwarded to them. WhatsApp says that this feature will help them determine if their friend or relative wrote the message sent by them or it originated from someone else. This move comes shortly after the government revealed last week that they have issued a warning to the world’s largest chat messaging platform on the spread of fake news. “This extra context will help make one-on-one and group chats easier to follow. It also helps you determine if your friend or relative wrote the message they sent or if it originally came from someone else. To see this new forwarded label, you need to have the latest supported version of WhatsApp on your phone,” said a WhatsApp spokesperson. Here are 5 things you need to know about WhatsApp’s latest feature. 1) How does ‘Forwarded’ label work? This design change applies to all messages that have been forwarded by using the forward option available on each message. It will appear automatically after the first time a message is forwarded. Users need to be on the latest supported version of WhatsApp to see it. 2) When a person creates a message with the intention for it to go viral, at what number of shares does it receive a forwarded label tag? The label appears the first time it is forwarded. WhatsApp said that it is not logging the amount of times a particular message has been forwarded or displaying to the user the original creator of every message. This is to avoid creating real world harm for people sharing private information in many societies. 3) Is WhatsApp able to read a message when a chat from a number is marked as spam or abuse? According to WhatsApp, when a user reports spam to the company, it sends the most recent messages in that chat to them as part of the spam report. The platform cannot see the content of messages being shared due to end-to-end encryption. 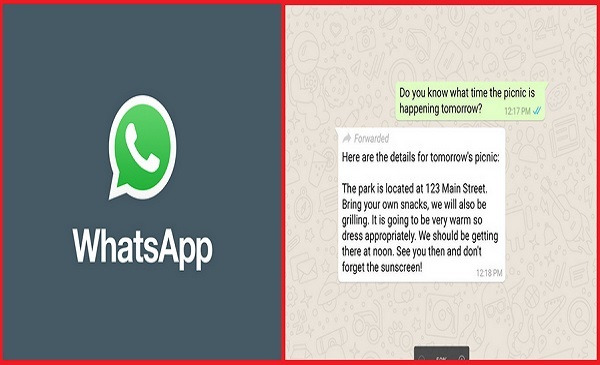 4) What action will WhatsApp take if a dangerous forwarded message is brought to its notice? Is there a plan to bar repeat offenders from using the app? WhatsApp bans accounts based on user spam reports and by evaluating the manner in which messages are sent. The platform uses machine learning to identify accounts sending a high volume of messages. WhatsApp has always insisted that they are constantly working to improve their ability to stop unwanted automated messages. 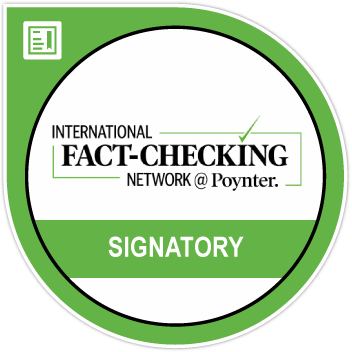 5) Are these measures enough to rein in fake news? While the company was quick to respond to the government’s warning, not everyone is convinced that labelling a forwarded message will solve the problem. While the newspaper advertisement outreach and the label may alert more discerning users who are concerned about fake news, it is unlikely to make a large scale impact, say several users when BOOM contacted them. Also, as this article argues, the label could even have the opposite effect, and encourage them to believe that if it’s been shared from elsewhere, it might be information that should be taken seriously.